Situated in the heart of the Mother City, on iconic Heritage Square just off bustling Bree Street, Headquarters (HQ) is renowned for its no-fuss, full-flavoured food offering. 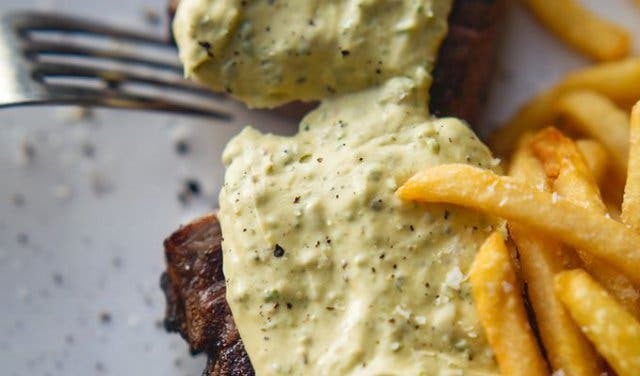 It’s sleek, soulful and well-established with a reputation built over the past decade on the Cape Town restaurant scene. HQ regulars return week after week. 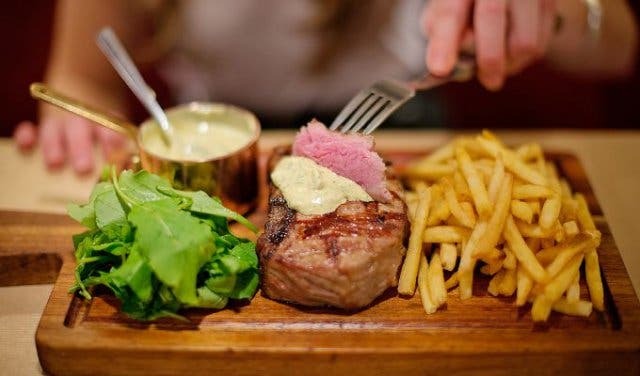 Whether to celebrate the numerous weekly, monthly, quarterly and annual events at HQ – there’s always something unmissable on – or just to savour their signature Salad, Steak and Chips offering. HQ has a team of food purveyors that spend countless hours sourcing, testing and developing ingredients from across the globe. 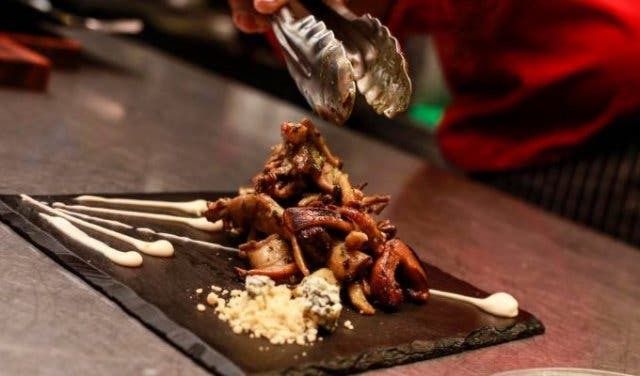 And their focus is on delivering delicious food and drinks that serve the idea that sophistication lies in simplicity. They also find new and creative ways to ensure minimal waste, striving to minimise our global footprint. And it’s good for any occasion, mood or craving. 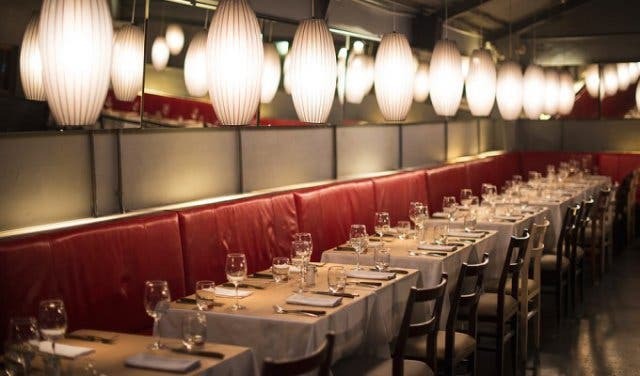 HQ is ideal for everything from after-work drinks and light tapas to date-night with Bae, an important business meeting or even if you just feel like dancing the night away. 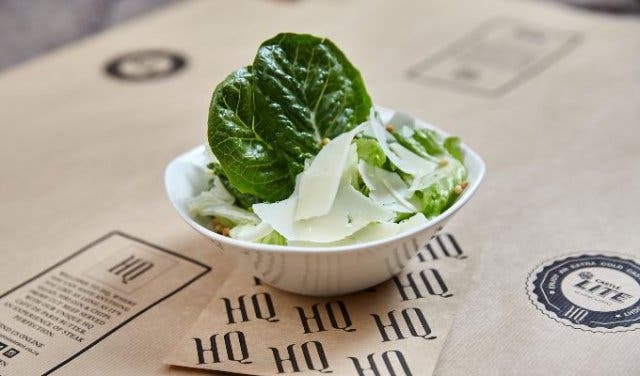 Located on the city’s historic Heritage Square – home to the oldest wine-producing vine in the southern hemisphere – HQ has all the makings of an on-trend eatery in the heart of Milan, Prague or Monaco. Leather couches, a crackling fire, closely-set tables and an open-plan kitchen build the baseline for the effortlessly elegant ambience. 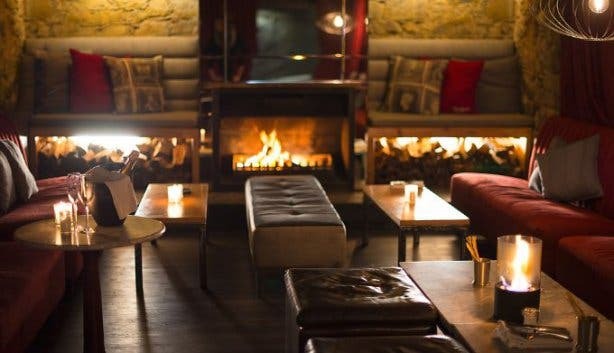 The lounge-style music, balloon lighting and the simplistic menu create a cosmopolitan restaurant for everyone to enjoy. The cocktails menu is comprehensive, and there’s something for everyone to enjoy. The Signal Hill Sunset is made with bourbon, burnt orange, orange bitters, Aperol and a cinnamon-infused vermouth that’s perfect for getting the appetite flared up to enjoy an offering made famous by the Parisian restaurant: Le Relais de L’Entrecote. 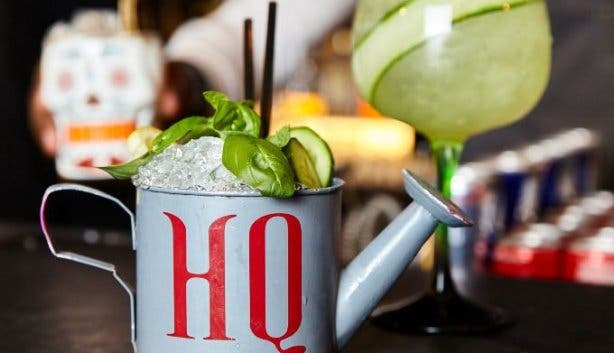 The HQ Watering Can is a long drink made with lavender-infused gin, fresh mint, basil and cucumber with an apple and plum cordial to keep you well hydrated. 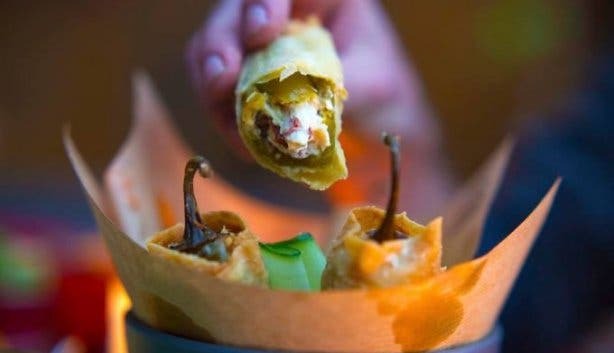 And perhaps in the mood to sample some tapas. There is a tapas menu to enjoy in the cosy lounge area, the open-air courtyard or as a starter to the famous Salad, Steak and Chips set menu. HQ’s chefs keep things simple, fresh and seasonal: Think triple-cooked pork belly served with apple crème fraiche, mustard, crackling and jus or free-range chicken wings served with BBQ sauce, smoked yoghurt, tomato pesto and blue cheese. Tip: HQ has a #HalfPriceTapas special every Thursday from 6pm. HQ is made up of different areas, which makes it versatile enough to accommodate bookings of different sizes and requirements. 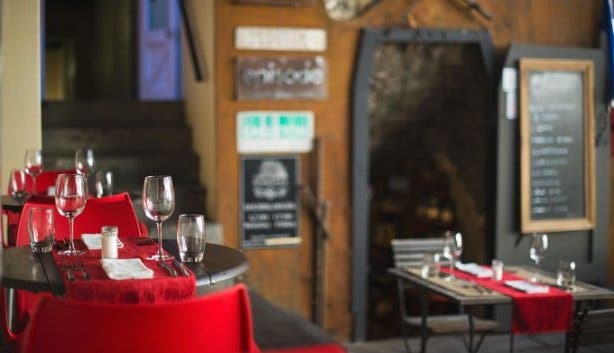 Contact the restaurant to enquire about the mezzanine (which has its own bar), the main dining area, the lounge or the courtyard. 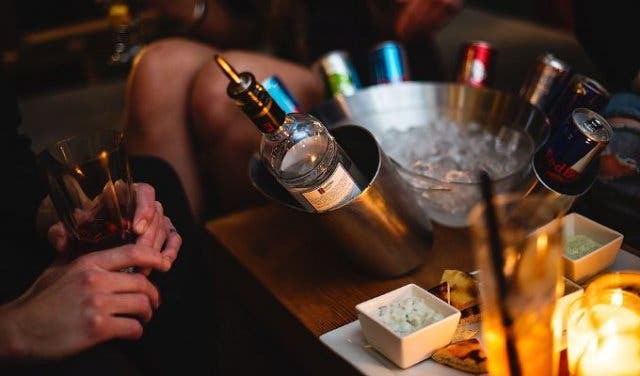 Rain or shine, HQ will be able to accommodate everything from your birthday, engagement, bachelor or bachelorette, year-end function or even just the casual dinner with mates. HQ prides itself on both service delivery and food quality. From the first interaction it is clear that the customer is king. If entertainment is key, HQ has the keys to the city. From an array of resident DJs on a Thursday (for the #HalfPriceTapas special) to @DJDinoLive with @KiriKutha on the saxophone on a Friday evening or the team from #VintageXvoltz getting your Saturday night started. And also look out for local swing crooner @RickyBotsis on a Tuesday during the #DateNight special. HQ’s set menu offering, the Salad, Steak and Chips is a journey started off by a crisp salad of cos and iceberg lettuce, toasted pine nuts and a Dijon mustard vinaigrette. Next, you’re served a grain-fed 250g sirloin steak, cooked to your desired temperature (although the chef recommends medium-rare) topped with Café de Paris butter sauce, accompanied with skinny fries. Of course HQ also serves a vegetarian option. The steak is replaced by duxelle-stuffed portabella mushrooms topped with parmesan cheese and baked to perfection. Or choose the exotic route with the speciality steak offering – currently black Angus steak. 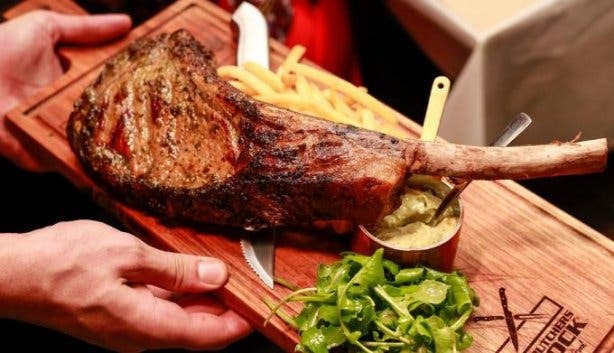 They have recently launched their #HQSteakChallenge, which sees the 250g sirloin replaced with a 1KG sirloin on the bone (aka a tomahawk steak), served with a 750ml Castle Lite. Finish the challenge and have your name engraved amongst the greats on the Wall of Fame. HQ’s approach to dessert is elegant yet easy going. Expect a deconstructed cheesecake, dark chocolate fondant, or the tonga bean crème brule to end the night off on a perfectly sweet note. The team at HQ pride themselves on the simplicity of the menu, but also take pride in the sophistication at the same time. For a night out, contact HQ. 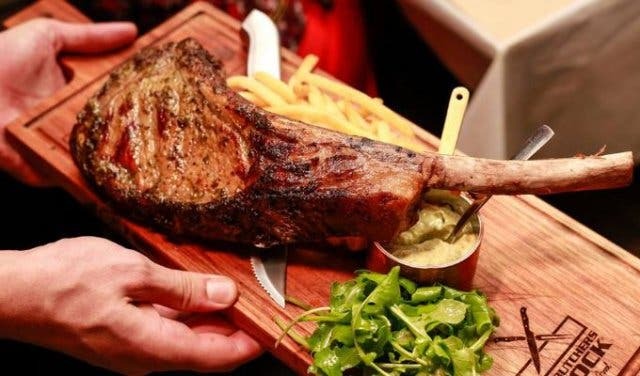 It seems to be an ideal any-day-of-the-week spot to grab a mind-blowing steak paired with good times all round. 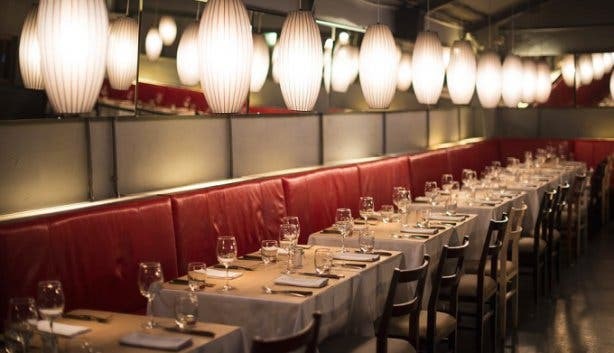 TIP: Contact the team to enquire about a private/semi-private event. 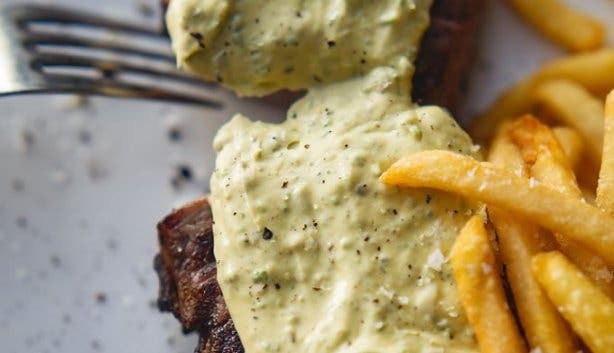 THE BILL: HQ’s Standard Salad, Steak and Chips set menu is currently up for grabs for only R238, the 1KG Tomahawk steak challenge menu is priced at R585, the tapas items (at full price) averages R85 each and desserts are charged at R48 each. The drinks list is extensive and there’s something to please every palate. Also check out HQ’s excellent specials on steak at #2FOR1Mondays and deals on meals for two at #HQDateNight on Tuesdays. And then there’s also dinner and dancing at Friday Feels.